Involvement in shooting sports inspires freedom, security, and confidence. We’ve created a safe experience for shooters of all skill levels. 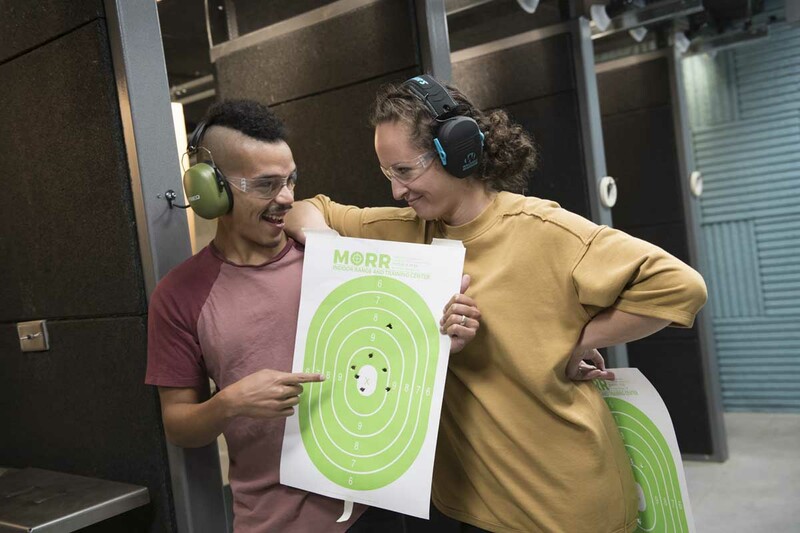 At Morr, we focus on learning the craft of shooting and having fun! We had a great time. From the moment you enter the building everyone is very professional and polite. The firearms range is kept very well and the range safety officers are on point to answer any questions you may have. Shooting is both a sport and a craft. Just like any other sport, once we learn the ropes and the how-to’s, there's no end to the amount of enjoyment, and aptitude we can build. Beginners and skilled shooters alike will love our diverse selection of shooting sports accessories, firearms, and sports accessories. Our service team will make you feel welcome and has the expertise to anwer your questions. That leaves us with one question for you: When are you coming by?